What Exactly Makes a Person Perform Better? Sifu Francis Fong is undoubtably ONE of the most amazing, energetic and talented Instructors in the Country! Sifu will share his 50 years experience and expertise in the Martial Arts in this Highly Comprehensive Seminar. 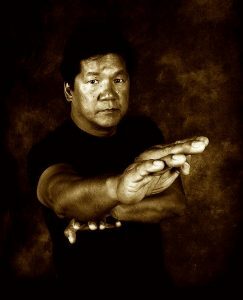 We are excited and honored to have Sifu Fong back teaching in Syracuse, New York again this year. The seminar is hosted by Sifu Kevin Seaman in conjunction with the Syracuse Martial Arts Academy. According to Dan Inosanto, Sifu Francis Fong one of the Finest Wing Chun Instructors teaching today. After a seminar with Sifu Fong, your outlook on power, structure and technical execution in the Martial Arts will change forever. Sifu will absolutely BLOW your mind with his ability and blinding speed. This is one seminar you will not want to miss! Early Bird- Before February 20th- 1 Day $85./ Both Days $155. Pre-Reg- Before April 1st- 1 Day $95./ Both Days $175. At The Door/ after April 1st- 1 Day $120./ Both Days $200. Space at the door is NOT guaranteed, Pre-Registration is highly recommended! One Day- $85. Both Days- $155. One Day- $95. Both Days- $175. One Day- $120. Both Days- $200. SPACE AT THE DOOR IS NOT GUARANTEED. PRE-REGISTRATION IS HIGHLY RECOMMENDED! Saturday April 13, 12pm-4pm Pre-Registration Discount- $95. Sunday April 14, 10am-2pm Pre-Registration Discount- $95. April 13/14, 2019 Pre-Registration– $175. "Your attitude determines your altitude even more than your aptitude. This book (The Winning Mind Set) shows you how to win from within in every area."